Pedro Almodóvar was awarded our top honour, the Dilys Powell Award for Excellence in Film. 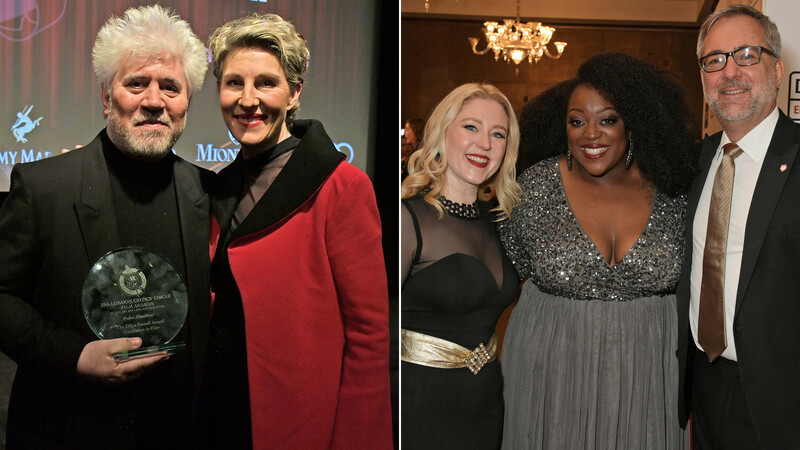 Tamsin Greig (left), who starred in the West End production of his classic Women on the Verge of a Nervous Breakdown, presented the award to him. At right, Critics' Circle Film Section Chair Anna Smith and I stand on either side of the evening's host, the fabulous British comic Judi Love. 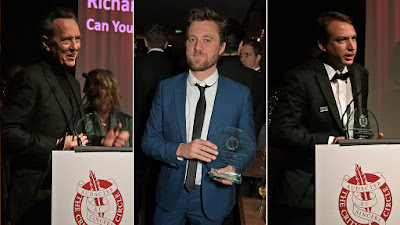 Left to right: Richard E Grant accepts Supporting Actor for Can You Ever Forgive Me; writer-director Michael Pearce wins Breakthrough Filmmaker for Beast; producer Nicolas Celis accepts Film of the Year for Roma. 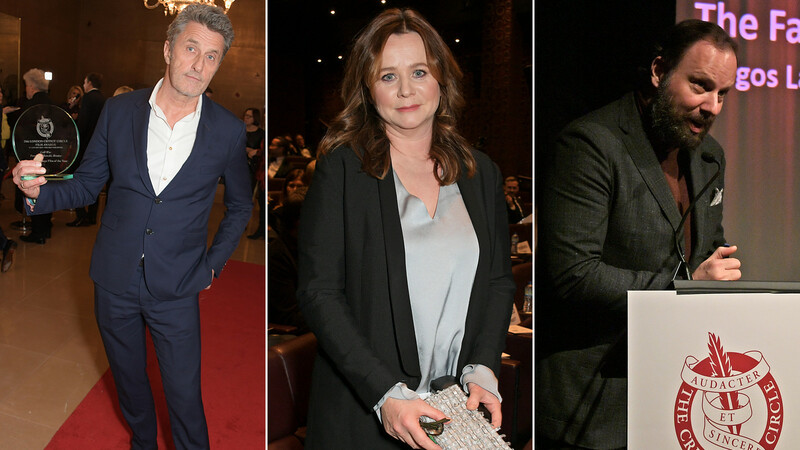 Pawel Pawlikowski's gorgeous Cold War won both Foreign-Language Film and the Technical Achievement Award for Lukasz Zal's cinematography; Rupert Everett sent his friend and costar Emily Watson to pick up his award for British/Irish Actor for The Happy Prince; Yorgos Lanthimos collects the prize for British/Irish Film of the Year for The Favourite. One of my jobs was to chase down video thank yous from winners unable to be present (I knew the winners before anyone else). 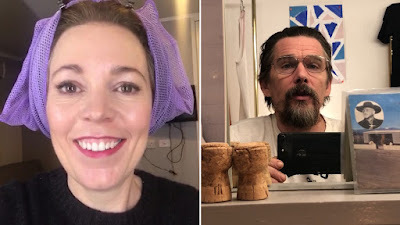 Both of these were shot in dressing rooms: Olivia Colman was on set filming The Crown and gave a witty thank you for Actress of the Year in The Favourite, and Ethan Hawke is in a play on Broadway, and made some clever, thoughtful observations as he collected Actor of the Year for First Reformed. 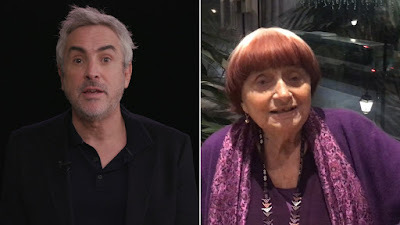 Alfonso Cuaron sent a video greeting as he won Director of the Year for Roma, while Agnès Varda spoke for herself and co-director JR to accept Documentary of the Year for Faces Places. 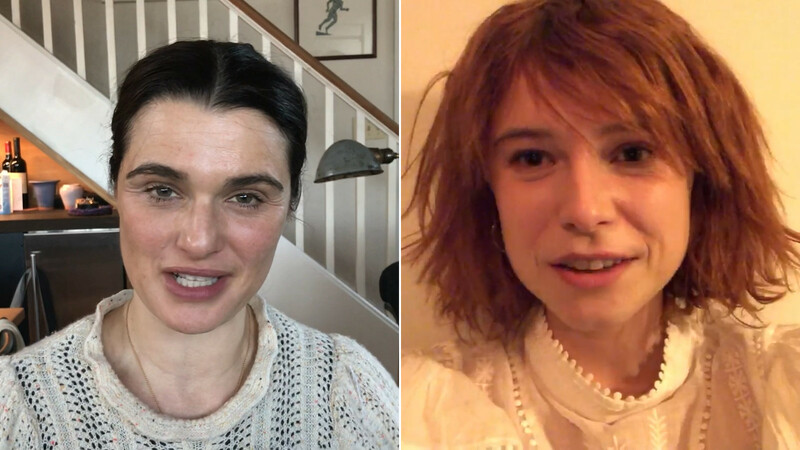 Rachel Weisz spoke from her kitchen to accept Supporting Actress for The Favourite, while Jessie Buckley was also stuck on-set on Sunday, offering a heartfelt thank you for British/Irish Actress in Beast, and hoping she'd finish early enough to come join the party (sadly, she couldn't). 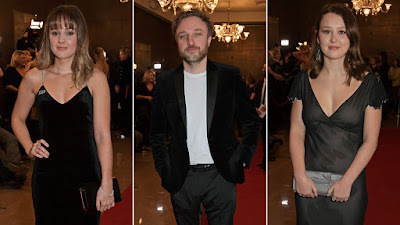 Deborah Davis and Tony McNamara were on-hand to collect their award for Screenwriters of the Year for The Favourite, as were director Lara Zeidan and producer John Giordano, who won Short Film of the Year for Three Centimetres. 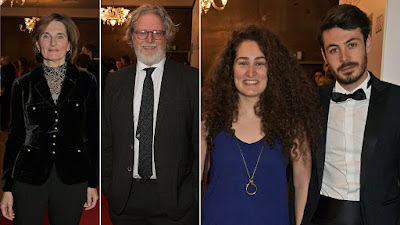 Molly Wright was wonderfully surprised when she won Young Performer of the Year for Apostasy (she also helped read out our nominations when they were announced last month); her director Daniel Kokotajlo was a nominee for Breakthrough Filmmaker; while Liv Hill was up for Young Performer for The Little Stranger. 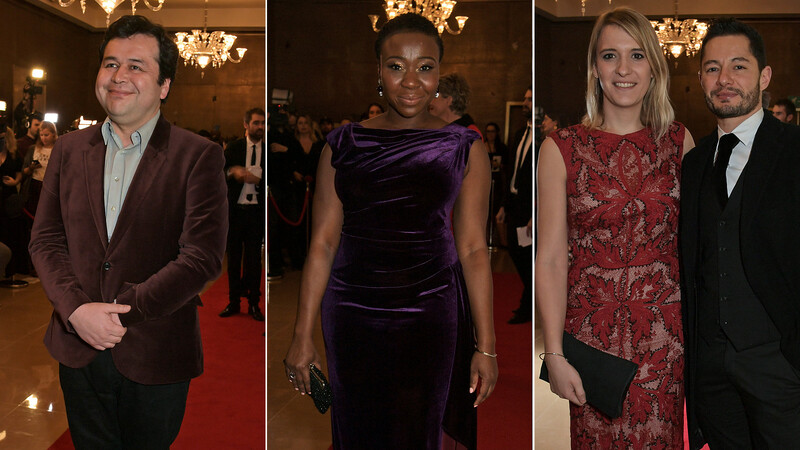 Other guests included Gonzalo Maza, screenwriter of Foreign-Language Film nominee A Fantastic Woman; actress Muna Utaru (The Keeping Room); and filmmakers and diversity activists Hannah and Jake Graf. 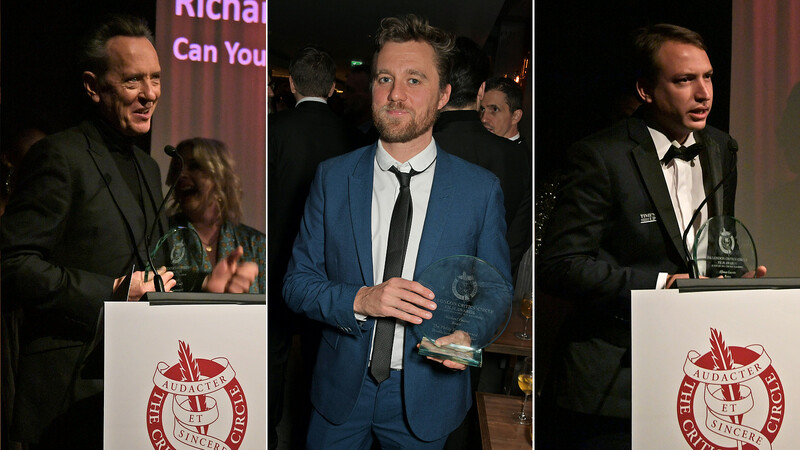 I have spent the last six months working on this event, and it has completely taken over my life over the last six weeks (with a bit of a breather when all the publicists' offices closed over the holidays!). 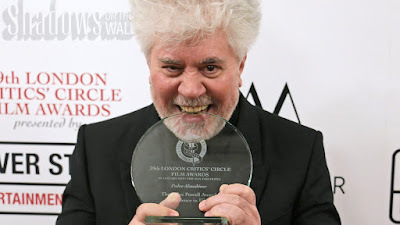 After we have a debrief and work out what we can do even better next year, we'll be able to forget about all the chaos until it begins cranking up again next summer. The 2020 event will be our 40th anniversary, so I think we need to plan something unexpected.